The operation will last for six months — until the 30th anniversary of the June Fourth Incident has passed. On January 3, China’s top internet censor — the Cyberspace Administration of China (CAC) — announced on its website that it has launched a new campaign against “negative and harmful information” on the internet. According to the CAC statement, the definition of “negative and harmful information” is extremely vague but, at the same time, all-inclusive. Any content that is “pornographic, vulgar, violent, horrific, fraudulent, superstitious, abusive, threatening, inflammatory, rumor, and sensational,” or related to “gambling,” or spreading “bad lifestyles and bad culture” should all be cleaned up. The latest crackdown will involve websites, mobile applications, online forums, instant message services, and live-streaming platforms — all the internet platforms that one could think of. “We will carry out vigorous inspections and close down websites and user accounts that are not in line with the laws and regulations,” the statement said. The CAC claimed that “in order to respond the public concern over the problematic networks that are rife with various types of harmful information,” the campaign will last for a total of six months. This year marks the 30th anniversary of the crackdown on the 1989 Tiananmen Square protests, commonly known as the June Fourth Incident in mainland China. Over the past 30 years, the June Fourth Incident has always been a highly sensitive subject. The Chinese government has been employing all means to prevent local people from discussing it, not to mention publicly commemorating it. It’s common knowledge that China’s internet suffers an extreme blockage every June 4. During the dates surrounding every June 4, even many VPNs — third-party services that allow netizens in China to bypass the Great Firewall and access the uncensored international internet — may not function properly. The 30th anniversary of the 1989 Tiananmen Incident will undoubtedly stir a greater wave of anxiety and panic among China’s top authorities, for fear that the Chinese public could “make unexpected trouble” on this extremely sensitive date. The six-month duration of the latest crackdown provides a convenient excuse for the government to control the free flow of information even more fiercely than normal, at least until June 4 has passed. Plans for a state-sanctioned re-entry into the Chinese market have “effectively ended” following virulent opposition. 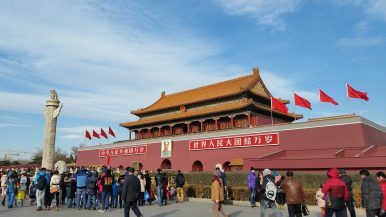 Google's China Plans: Backtrack and BacklashChina Reshuffles Its Censorship ChiefsChina’s Top News Apps Fall Victim to Government Ban — AgainChina’s Rising Tax on InformationWhy Are Chinese Netizens Excited About Russia's Ban On VPNs?